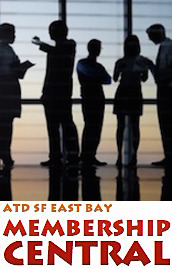 Note: Ms. Jesse has graciously indicated that Mount Diablo ASTD chapter members may use or adopt elements from the above linked copy-written follow-up evaluation forms. Have you wanted to create a method to easily analyze performance? Have you wanted to know how to show the benefits of a new learning plan but did not know where to start? Have your clients requested you to show the measurable benefits of your work? Gina Jesse will heighten your awareness regarding how to conduct learning measurement and analytics in a practical yet credible and comprehensive manner. This session will cover the business case for measurement, present research that describes where the learning industry is at today regarding measurement, and provide new measurement tools. By the end the presentation, you will have a series of tips and tools to do learning measurement in a more credible way but without major change or major money, time, and people investments. Please join us for an evening filled with new ideas that can be easily added to your repertoire. Presenter: Gina Jesse, a Measurement Consultant with Knowledge Advisors, has over 8 years project support and management experience. Her specialty is in conducting quantitative and qualitative analysis intended for process improvement. Prior work with both public and private sector organizations includes external evaluation, strategy development and change management. Additionally, she has experience developing and delivering client training, as well as serving as a presenter at several national industry conferences. Gina earned her Master’s degree in Education at the University of Southern California.